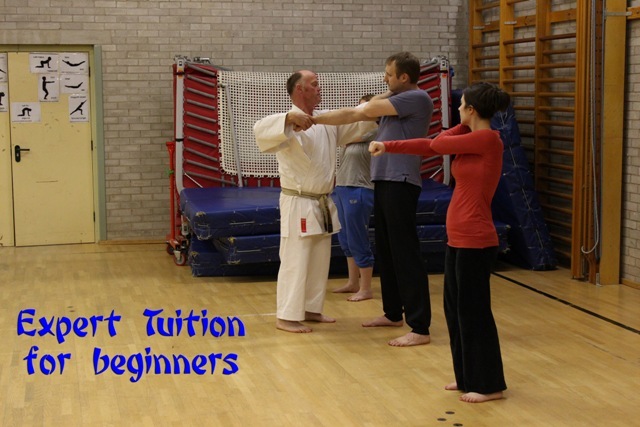 FEBRUARY 2015 – Chikara Shotokan Karate Academy is now recruiting new members. We are running classes for absolute beginners each month. These are for both adults and children. Please contact us for further details or turn up at any of the below times. I just wondered, can I just turn up on one of the nights? Yes feel free just to turn up!! I would suggest wearing loose clothing and possibly bring a drink. Any further questions feel free to email me. I will forward you my email address now. I had my first class tonight. It was great fun although i’m a bit stiff. I’m looking forward to next time. I will forward your comments, we love to receive feedback!! Glad you are enjoying it!! I’m sure the instructors will be happy to see you again!! I’m not there tonight so I’ll hopefully see you next week. Hi, i used to do Shotokai karate, but i had to have a good break from the sport due to an injury i got during a competition fight….. i am now looking to get back in to my teachings…. In my last club my grading was to my blue belt, but i have lost my license due to moving house. Would this be a problem? Also would i be able to come down on one of your days of training to see what your training is like? Can you advise what costs are involved for juniors please? I was hoping my boys could come along to your junior class on a Tuesday, is there a minimum age? My boys are 9 and 4. Of course you can. People of all ages start and participate in karate. There are older that go so at 55 you will be a spring chicken!! Thank you that’s great news looking forward to it!!! Is there a minimum age please? My two boys are 7 and 10, and both would like to attend. Hi, is there a minimum age to start, my daughter is 6. I was hoping to bring my 5 year old to a beginners class so just wondered when is best to attend, I know it’s late notice but wondered if he could come along this evening Tues 16th June?